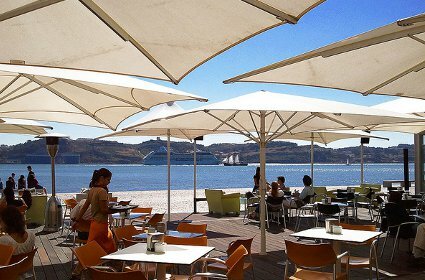 Piazza Di Mare lisbon restaurant offers a large trendy interior and a stunning esplanade that opens to Rio Tagus, welcoming each guest. It has two inviting interior rooms and a terrace that provide guests a place to enjoy a full meal or just a light snack and a tasty juice. Meanwhile, visitors may enjoy the sight of boats and ships sailing away. At night, guests can also delight in the view of the flamboyant lights from modern establishments close to the restaurant and the other margin of the river. 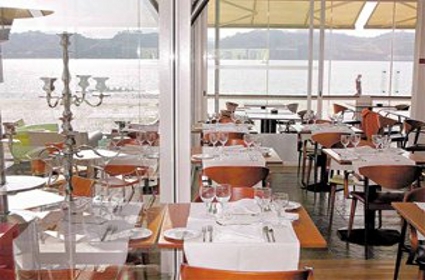 In addition to the delightful river view that guests can enjoy from Piazza di Mare restaurant, they can also expect a wide variety of tasty food at the restaurant, including Italian pizzas, made in their wooden hoven, Risottos, Frittata, salads and fresh pastas. Also, you can find international cuisine dishes of fresh fish and meat. Among the dishes that diners should try at the restaurant are their Piazza Di Mare’s Antipasti, a salad of mushroom, sun-dried tomato and prawn ; and one of the Tagliateli pasta dishes paired with salmon loins in garlic and butter sauce, and marinated lobster. 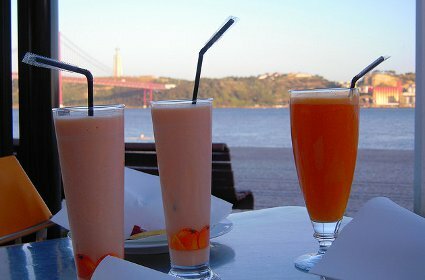 Open everyday, from 11h00 to 02h00, Piazza Di Mare Lisbon Restaurant is one of the top restaurants in the area, with a perfect combination of location, style and excellent food . It is located a bit further from the historical Belem area, close to famous attractions and monuments that stand by the River Tagus, like the Monument to The Discoveries, Belem Tower or Jeronimos Monastery. Also, just next door you can find the BBC Bar and restaurant that caters to the young and sophisticated crowd. Dining at the restaurant would cost between 20-30 Euros, and guests can pay cash or through credit cards.